The 69 year old Mr. Iwuyi from Ban Sammonnuy lost all courage when his eyesight gradually deteriorated within a period of two years. How could he continue his work as a fisherman and so contribute to the family income? How great his relief and confidence were when Mr. Iwuyi heard that the skilled ophthalmologists of Asian Eye Care would visit the Eye Clinic of Champasak Provincial Hospital in Pakse again, in 2015. He had learned from neighbors that treatment and cure were also possible for him. Imagine his happiness when he could clearly see the other patients and read even the small print of the newspaper! 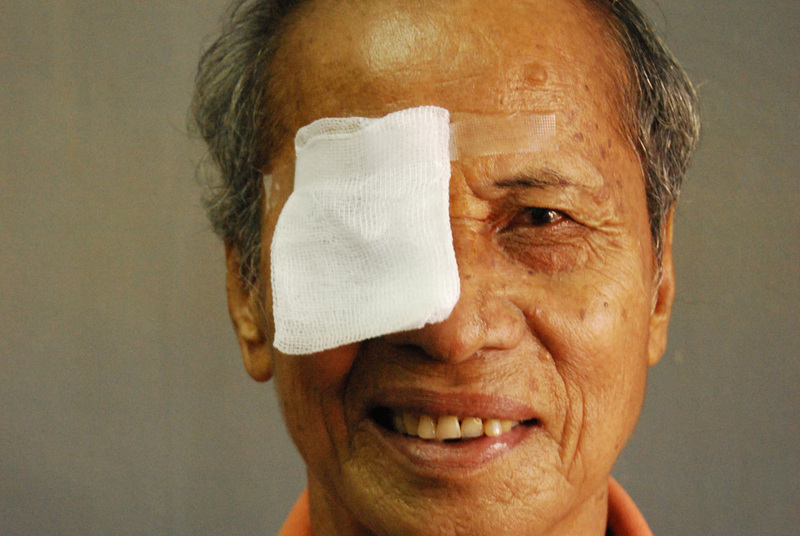 But the greatest gift that the Asian Eye Care team had given to him was the ability to fish again and so provide for an income. Mr. Iwuyi wishes the entire team success and lots of happiness!